I was poking around the usual online rags and found a piece on Threat Post. 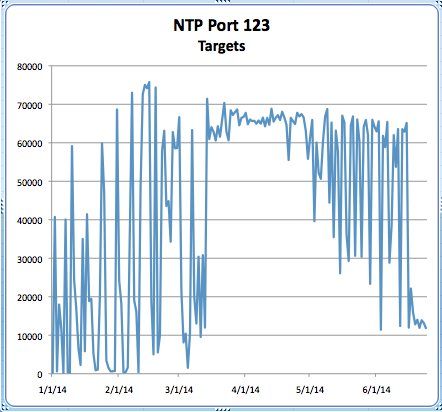 Mike Mimoso was highlighting the decline of the NTP DDoS hole found earlier in the year. The ISC covered it in our diary a few months back. Feel free to share your thoughts on this one.